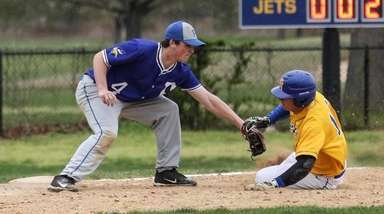 Peragallo had 58 groundballs and 49 forced turnovers for a Hauppauge team that lost only one division game in the regular season. A two-time All-American was ranked the No. 2 defender in the country by ESPN Rise going into this season and has committed to play at Notre Dame. Meet Newsday's 2012 All-Long Island girls lacrosse team, as selected by Laura Albanese and Stephen Haynes. 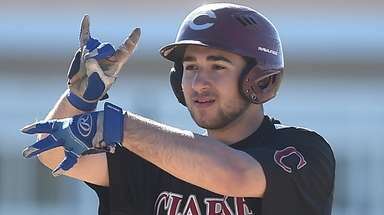 Well, let’s start with the accolades: Bruno is a two-sport superstar, a two-time All-American and a member of five state championship teams. She was selected to Under Armour All-America team, named MSG Varsity’s All-Metro MVP and Lacrosse Magazine’s Northeast Player of the Year. While we’re at it – she also was Newsday’s 2011 Long Island field hockey Player of the Year. 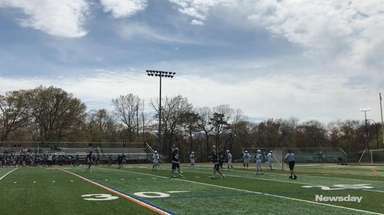 With deft moves and an overpowering shot, Bruno scored 134 points (93 goals) – second most in Long Island – and led Garden City to a seventh straight state Class B title. She was downright dominant in the playoffs, racking up 29 goals and 15 assists. Bruno scored the deciding goal in the Nassau final and, in the state championship, had six goals and two assists, earning tournament MVP. She is one of the most decorated local athletes in recent history and now, with a loaded athletic resume (and crammed trophy case), the academic All-American heads to Princeton. You can look at the numbers, which are impressive. You can look at West Babylon’s turn-around season, which may be even more impressive. But, given the option, we suggest you never take your eyes of Esposito when she’s on the field. The explosive two-time All-American used her speed, her powerful shot and lacrosse acumen to help propel a surprising Eagles squad that, last year, didn’t even make the playoffs. Esposito, who had 71 goals and 52 assists, would often take draws herself and run down the field to face defenders, goalies and what-have-you for game-changing scores. After losing three of the first five games, the Northwestern-bound Academic All-American led her team to 11 straight victories, right up to the Class A quarterfinal. 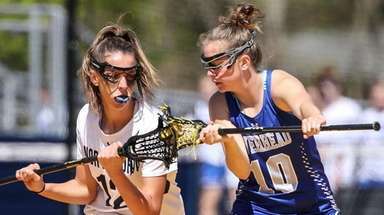 Even more, she helped establish West Babylon’s future: working in tandem with up-and-coming freshman Samantha Apuzzo, who had a breakout year with 69 goals. Her fiery presence, her ability to motivate and lead against stacked odds and, oh yeah, all that scoring, makes Esposito the Suffolk Player of the Year. DeLyra, an All-American, was the key factor in Bay Shore’s explosive offense, tallying 74 goals with 45 assists. The USC commit did double-duty, often working as the backer in a zone defense that held teams to single digits 17 times, and helped lead her Marauders to a Class A state semifinal. The last of her five goals in the Long Island championship against Farmingdale sent the game to overtime. Dimartino, a two-time All-American, scored 60 goals with 18 assists for the Suffolk Class B champions. The Johns Hopkins commit, also an academic All-American, added 32 ground balls, 25 forced turnovers and 50 draw controls. The Class C state championship MVP helped propel her Wildcats to their fifth state championship in six years. Fehmel, whose hard-nosed play helped pace a well-balanced offense courtesy of scorers Paulina Constant, Kadie Boden and Jessica Angerman, had 29 goals and 17 assists. With uncanny speed and an array of knee-buckling moves, she put constant pressure on defenses. Heagerty, headed to Georgetown, had 65 points in leading the Friars to a fifth straight CHSAA Class AA title and was named league MVP. She had 139 saves in leading the Friars (16-1) through a rigid schedule to a No. 3 national ranking. The Brown-bound All-American shined most in big games and proved to be a stopper in every sense. After St. Anthony’s only loss, Holland made 55 saves with a .753 save percentage in the next six games – three of them victories over nationally-ranked opponents. With her combination of athleticism and skill, the All-American scored an LI-best 139 points, including 102 goals, and led the Vikings to a second straight Nassau Class C title. Johansen, who is also a soccer and basketball standout, will play lacrosse at USC. The Rutgers-bound star helped lead the Dalers to a seventh straight Nassau Class A championship. Kolodny’s quickness, savvy and a wide repertoire of shots helped her score 90 goals, fifth most in Long Island. In a breakout season, she totaled 114 points and earned All-America honors. A prolific scorer and instinctive passer, Lovett was third in Nassau with 118 points (44 assists). The All-American’s on-field leadership and clutch scoring – including the deciding goal in the county semifinals – helped guide Wantagh to the Nassau Class B final. She is rated among the top juniors in the country. A two-time All American, Ranftle had 65 goals, 65 assists and 15 groundballs this season. Her 130 points led Suffolk and was second among Long Island public school players. The two-time All-Long Island selection was also named All-County all four years of her varsity career. 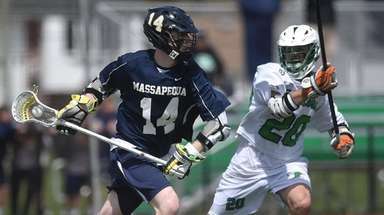 Rullan, the backer in the Patriot’s stifling zone defense, helped hold opponents to 6.63 goals per game. The All-American has committed to play at Navy and was integral in leading her team to a 13-1 regular season record and the Suffolk Class A finals.
. Kaleigh Craig, Wantagh, M, Sr.
Nicole Daniggelis, Smithtown East, M, Sr.
Catherine Dickinson, Garden City, M, Sr.
Alyssa Fleming, Shoreham-Wading River, D, Sr.
Cortney Fortunato, Northport, A, Jr.
Julia Glynn, Manhasset, M, So. Kyra Harney, Bay Shore, M, So. Kelsey Hart, North Babylon, M/D, Sr.
Victoria Kotowski, Cold Spring Harbor, M/A, Sr.
Nicole Levy, East Islip, A, Fr. Halle Majorana, Manhasset, A, Sr.
Megan McDonald, Garden City, G, Sr.
Darcy Messina, St. Anthony's, A, Sr.
Caroline Fitzgerald, Mt. Sinai, M, Sr.
Kaitlyn Montalbano, St. John the Baptist, M, So. Kelsey O'Brien, Massapequa, A, Sr.
Bairre Reilly, Locust Valley, A, Jr.
Colleen Reynolds, Farmingdale, M, Sr.
Diana Rice, Seaford, G, Sr.
Rebecca Tooker, Eastport-South Manor, D, So. Newsday's 2012 All-Long Island girls lacrosse team. Front row (left-to-right): Suffolk Coach of the Year Mary Bergmann, Colleen Lovett, Stephanie Peragallo, Christina Esposito, Taylor Ranftle, Alex Fehmel, Annie Heagerty. Back row (left-to-right): Lizzy Rullan, Becky Conto, Amanda Johansen,KIm Kolodny, Caroline deLyra, Dene' DeMartino, Alexandra Bruno.